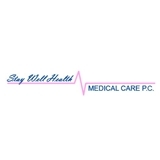 Stay Well Health (Staten Island) - Book Appointment Online! As a mother-to-be, you want to feel secure knowing you’re doing everything possible to keep your baby healthy and have a positive, nurturing prenatal experience. The obstetrics team at Stay Well Health Medical Care Centers provides professional, comprehensive pregnancy care in a warm, inviting environment to expectant mothers just like you. With offices conveniently located in Brooklyn, Staten Island and Queens, NY Dr. Emma offers years of prenatal care, experience and expertise. Find a wide-range of pregnancy care options that cover the complete needs of expectant mothers like you – all the way from pre-conception through childbirth. Pregnancy Management Fibroid Management Endometriosis Fertility and Infertility Abnormal Bleeding Whether you’re trying to concieve or are currently expecting it is very important to consult with an obstetrician and a gynecologist. gentel and thorough. but the office could definetly use a makeover or even new location. he is a good doctor he should show it in where he works. i almost turned around and didnt go in because of the building location is the side of a house and not so much that is was the side of a house it was unkept and just dreary.